Outsourcing is becoming increasingly popular and common in today's global workplace. More and more companies are coming to see how outsourcing various types of work and projects can have a positive impact on their bottom line. How Will Outsourcing Impact You? If you have specialized, in-demand skills, you may learn that you are more in demand as an independent contractor than as a staff member. Many people who like the idea of working independently are viewing the increase in outsourced work opportunities as terrific chances to build consulting practices. Many jobs once budgeted solely as staff positions are being re-evaluated to determine if outsourcing makes more sense. Some of the most commonly outsourced tasks include: web development, call center services, marketing, cold calling, information technology functions, and more. 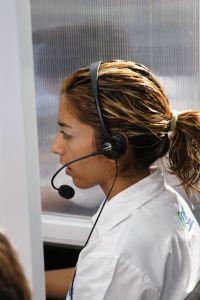 The increase of outsourcing is even leading to the birth of new occupations, such as that of the Virtual Assistant. The LoveToKnow Jobs writing team is constantly researching trends and issues in the modern job market. If you're interested in learning about more about outsourcing, whether you are a business owner considering utilizing this staffing strategy or you're a job seeker lookin gfor ways to capitalize on your skills, you're sure to find beneficial information here. We're always adding content, so check back regularly to keep up with the latest information about outsourcing. New articles are added each week, so you'll always find something new. If you have outsourcing questions now and don't see what you need on the site, feel free to submit your questions to our resident expert.